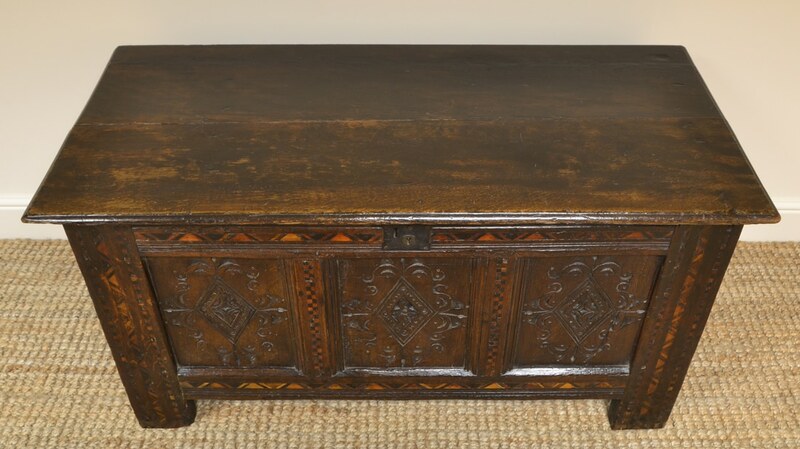 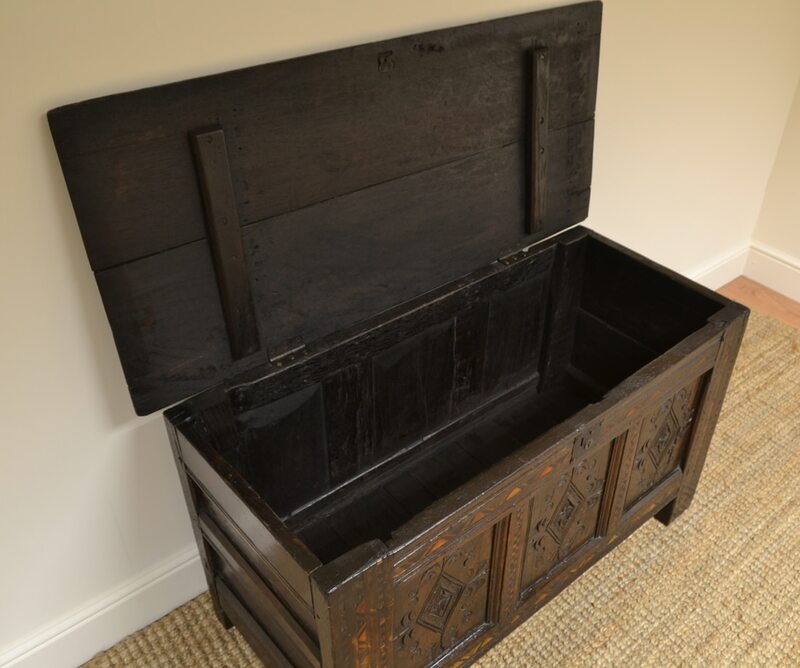 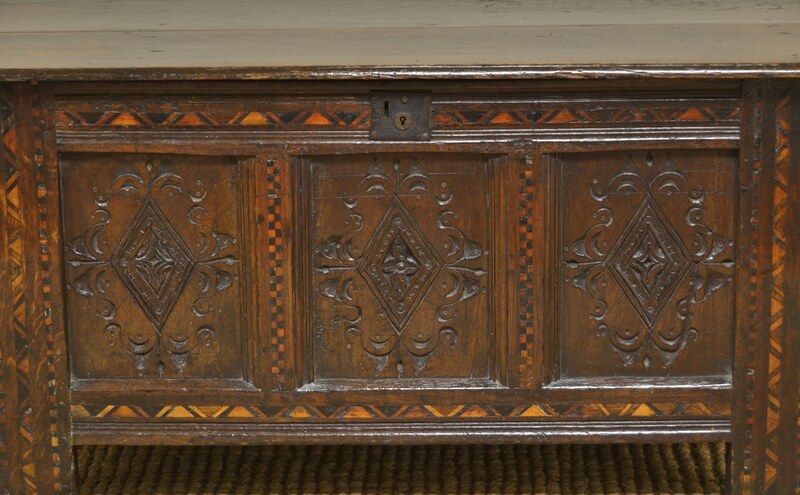 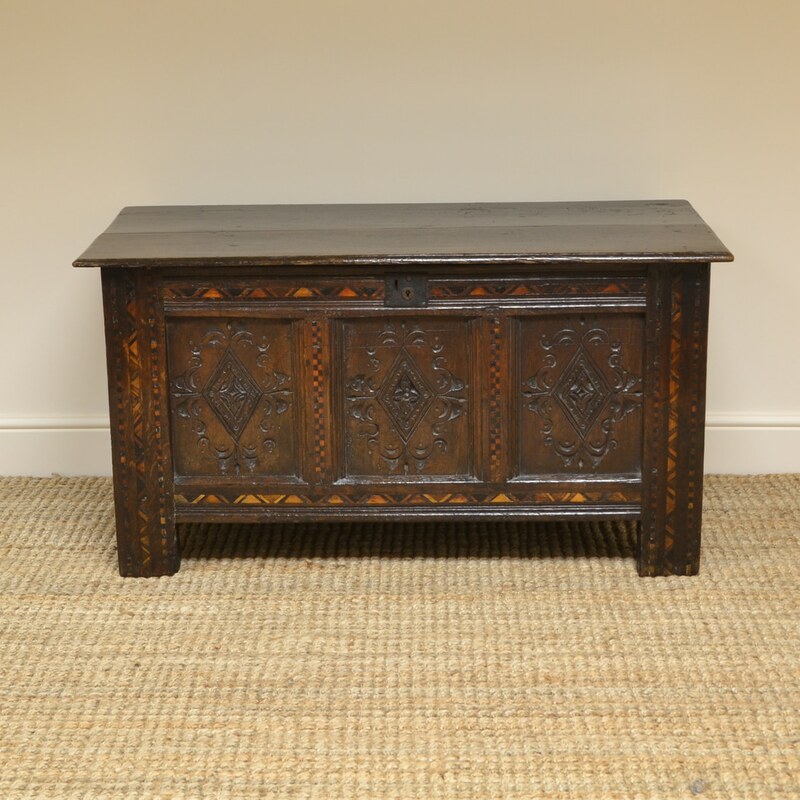 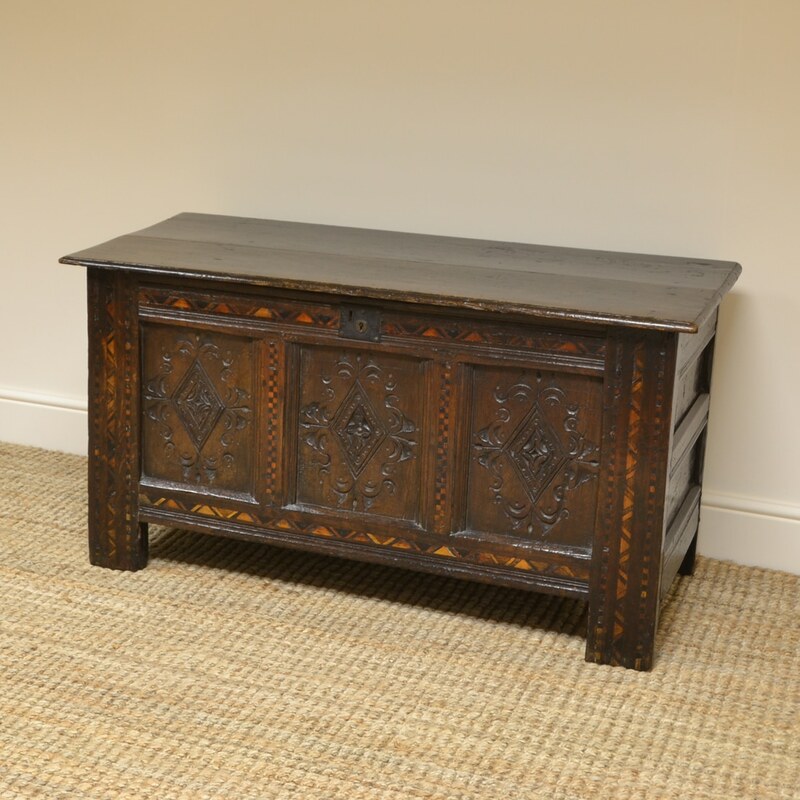 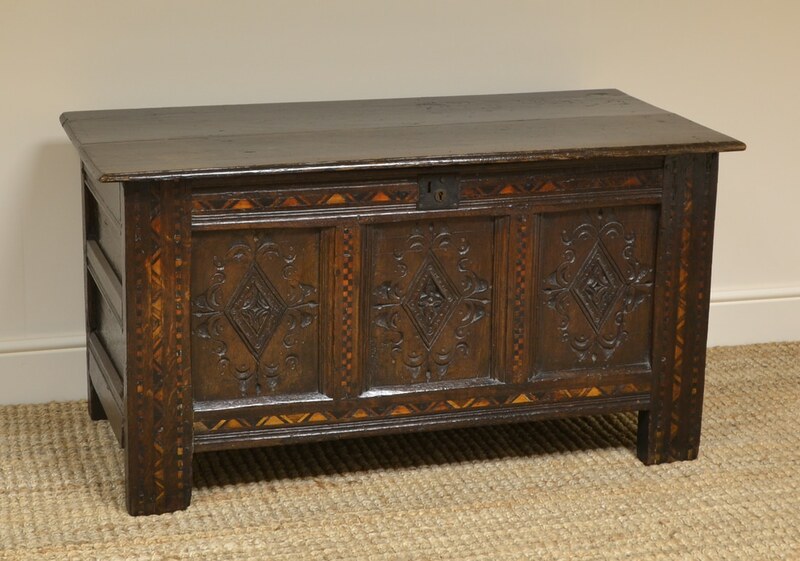 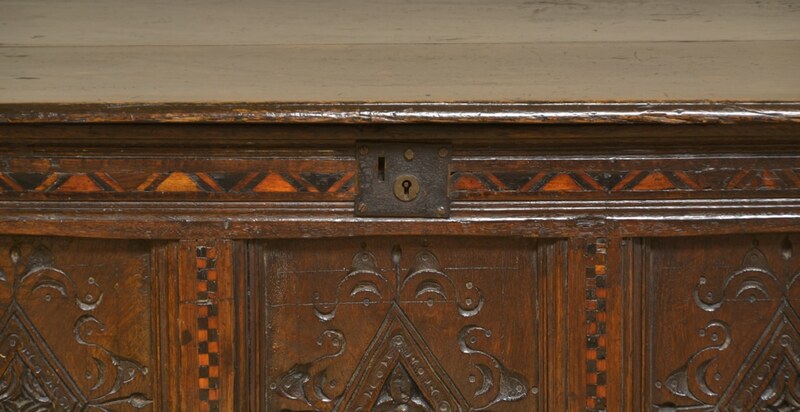 This Unusual 17th century Period Oak Inlaid Antique Coffer dates from ca. 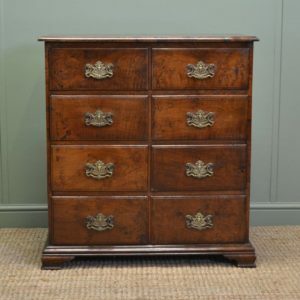 1680 and if full of beautiful charm and Character. 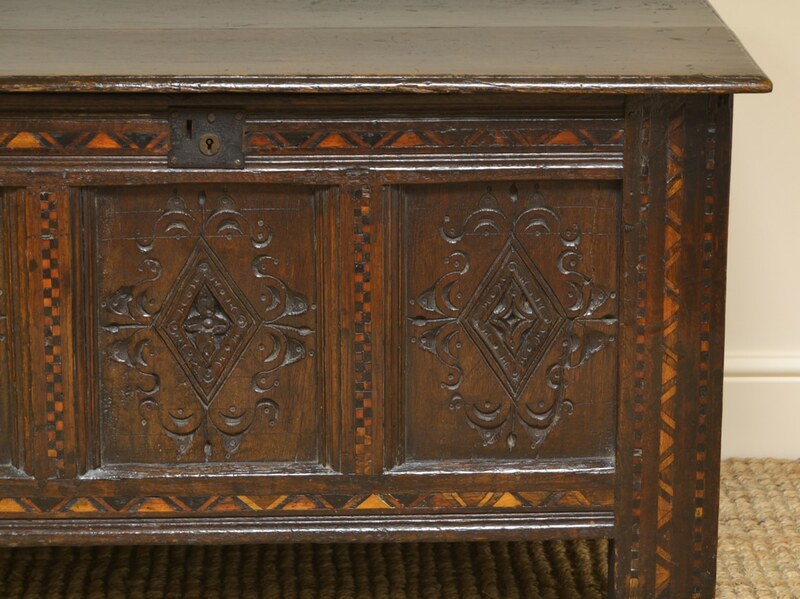 It has a moulded lid with replacement sturdy hinges above a beautifully carved and inlaid front, with moulded panelled sides and back. 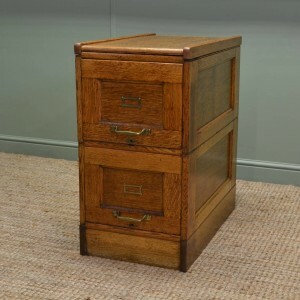 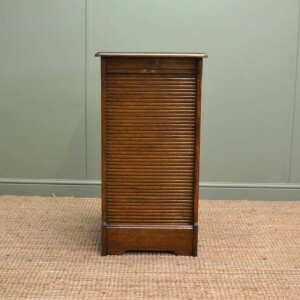 It stands on raised legs and has aged to a rich Oak shade with a striking grain, good patina, is in very good condition and has been beautifully cleaned using a traditional form of wax finishing.